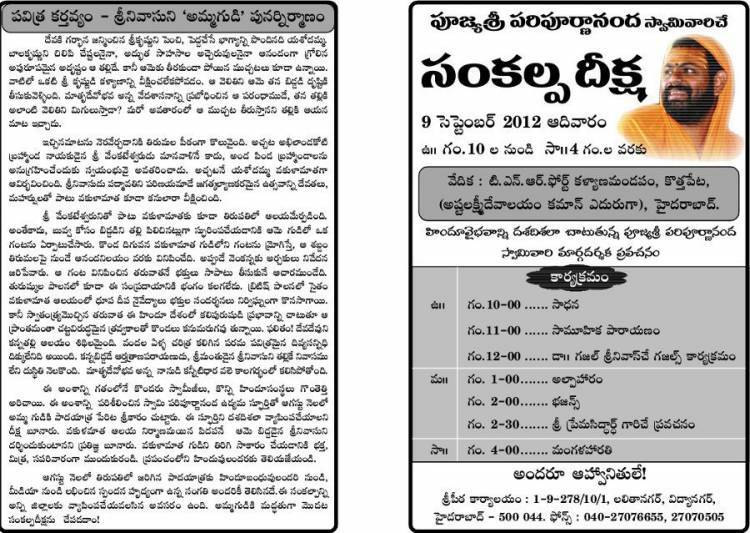 Swamy Paripurnananda is organizing a spiritual, devotional protest "Sankalpa Dheeksha" in regard to Vakula Devi Temple on 09.09.2012 from 10.00 AM to 04.00 PM at TNR Fort Kalyana Vedhika, Near Asta Lakshmi Temple, Dilshuknagar, Hyderabad. 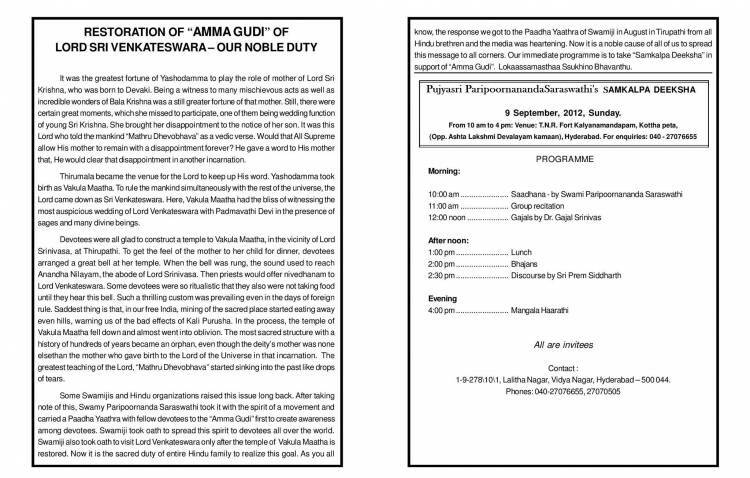 In this Swamy Paripurnananda Speech, Dr.Ghazal Srinivas Speech & Ghazals, Lalitha Sahasranama Chanting etc., will be there. Around 5000 people will be expected to participate in this Dheeksha.